...and this is only the beginning! Well, it’s not the VERY beginning, per se. But it’s the start of some pretty cool things to come. We’re going to be involved in a radio campaign in August and September that will result in some nationwide airplay, then we’re moving into licensing for TV, and right around that time we should be on tour out west. Big things, I tell you! Big things! For more details on our big promotional adventure, check out the scoop from our record label Karmic Fury Records. Of course, we’re not forgetting about our super cool hometown of Wilmington. 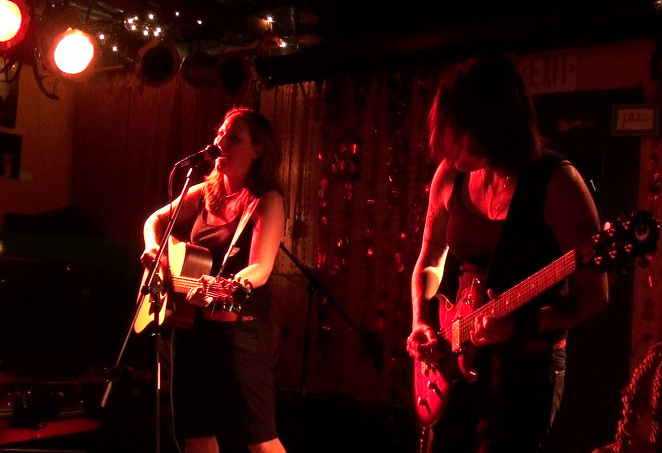 We’d like to offer up a huge THANK YOU to everyone who came and rocked out with us at The Juggling Gypsy. Thank you for hanging in as we all battled the heat and a few sound system problems early on. The result was an incredible evening: friends and hookahs and music and amazingness! A special thank you to Sean Richardson for joining us as the opening act and throwing it down acoustic style. We also want to thank Girls Rock NC for rearranging everything this week so we will be able to come and perform for and talk to the campers in Durham tomorrow! We weren’t able to make it on Tuesday due to the fact that we both came down with some kind of a flu-like bug (in the summer? really?!) but we’re better now! In fact, we’re better than better! We’re super excited and ready to bring it! Exclamation points!!!! 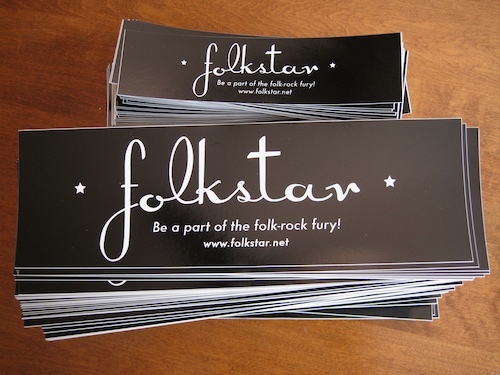 They come in two sizes and you can order both through the Folkstar store. While you’re there, pick up a CD, t-shirt, poster, or better yet get a killer deal when you purchase ONE OF EVERYTHING with our new bundles! Sweet! 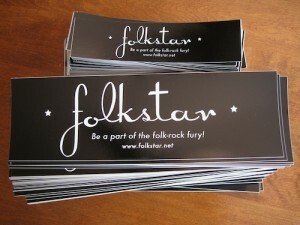 ← Folkstar = WAE Top Show!